One of the oldest yet most powerful means of reaching out to your target audience is event marketing. But, unlike digital marketing, which is the talk of the town these days, events necessitate much more preparation and incur greater costs to execute, and there are no ready metrics to determine whether the ROI of the event was positive. Nevertheless, many marketers want to either hold their own event or participate in industry or analyst events. Why? The rationale behind what makes an event a trusted medium despite all the overhead is simple: Unlike most any other medium, events provide a near assurance that you have your potential customer's attention, in person, one on one. But there are a plethora of events happening around the world every single day, and with events consuming at least a quarter of a company's marketing budget, the key question that arises is this: Which event is the right event, and is it worth spending those valuable dollars on event X or event Y? 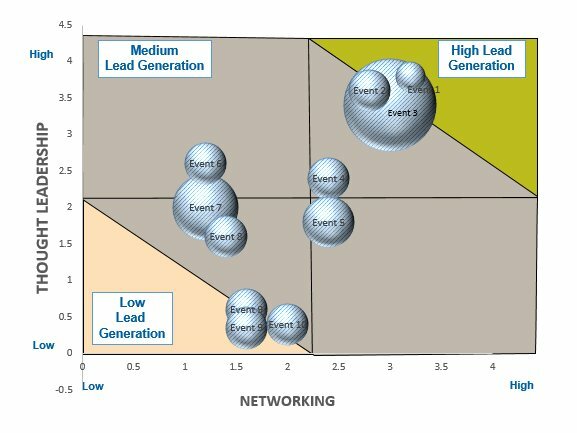 To help marketers find their answer, this article shares the Event Evaluation Matrix—a tool that can help you gauge which is the right event for your marketing efforts. See the table at the end of the article for how you might weight the various factors and parameters for your own event evaluation matrix. Prerna Katyal is corporate brand manager for information technology and services provider HCL Enterprise. She is a marketing strategist experienced in building scalable marketing campaigns, developing influencer and media relations, and managing CXO events.